The relic of the Three Wise Men, which were brought to the Kölner Dom, Cologne, Germany in 1164. 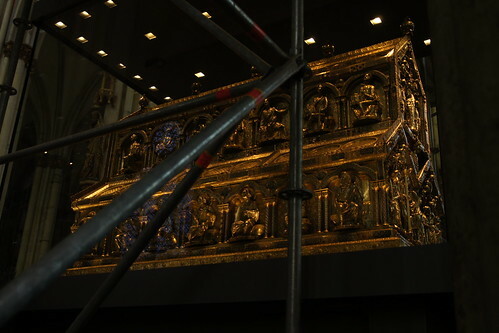 It is the largest reliquary in the western world. This is the reason the Cologne Cathedral was built so impressively, and the reason for the religious centrality of the area.